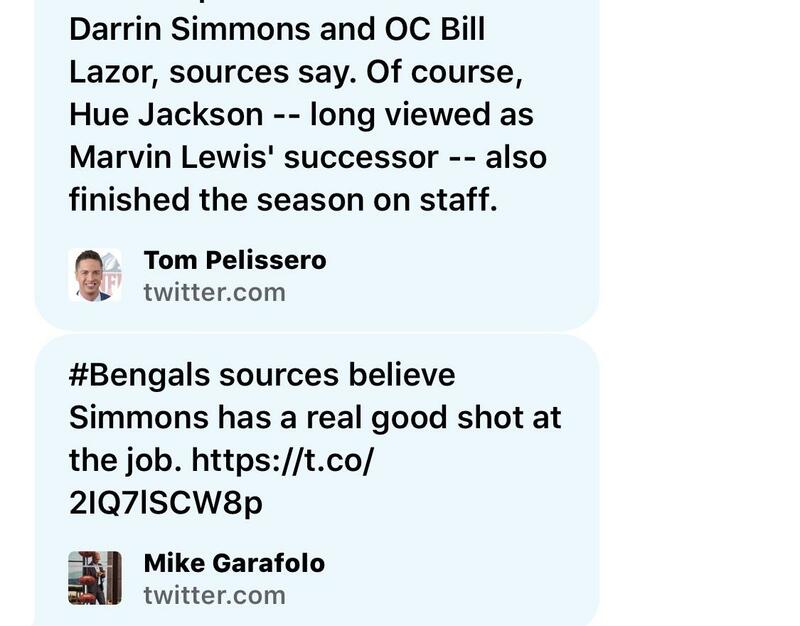 Should we just automatically put Hue under the Bengals? Probably.....but I don't want to jinx anything. Hue Lazor and Simmons are all getting interviews. Of the internal candidates Simmons would be my preference. Which internal candidate would you want? Note I did NOT say Simmons is THE GUY I want. He is my choice of the internal candidates. How about Lazor HC, Huey OC, Joseph DC? Seeing rumors (too lazy too look up to verify source) of Zimmer possibly resigning in Minnesota. MikeandKatie have to do something to knock it out of the park to win back the fan base. Has he ever been an OC? I knew there had to be a Cincinnati connection. Kerry Coombs is out there somewhere. His son is on the coaching staff. Bring him in. Probably would not take it because Colerain High School had a bigger recruiting budget. Not sure how I feel about McDaniels seeing as how he did Indy dirty. That would be a lot funnier if it wasn't true. So, teams are not lining up to interview Marvin? He's a good coach. Our special teams have by and large been very good for years. Returning AND coverage. Same here. In fact, I wouldn't hate that hire actually. I think that players respond to him. And before anyone attacks me, no, I have no direct personal knowledge of that statement being true. Just what I've seen and read out there on the webz. He's not my favorite choice...I wish we'd try to get McCarthy but he'd probably want a Chucky Gruden deal to come here. Because he's a good coach? As long as he does Indy dirty in the preseason every year and once every other year in the regular season, I don't care. 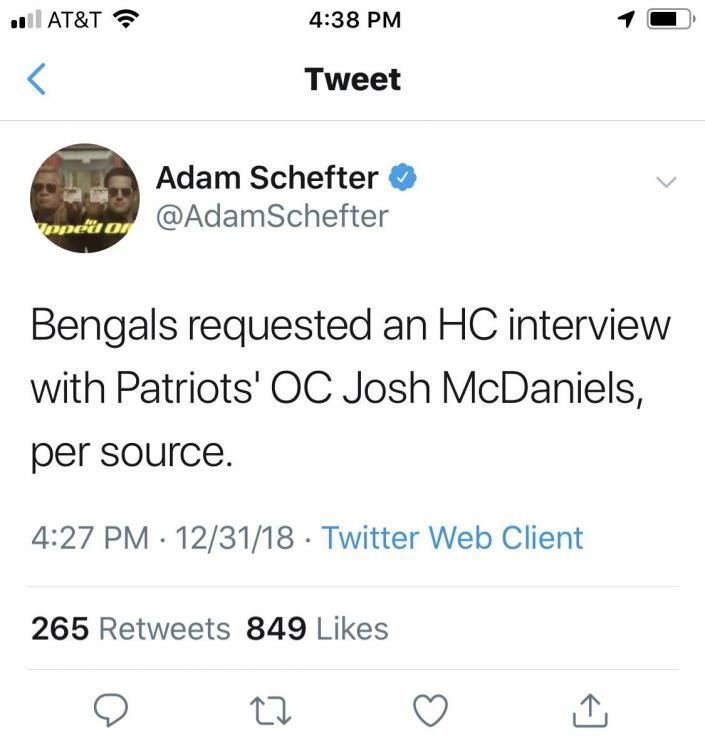 They can’t interview him until NE is out of the playoffs, correct?